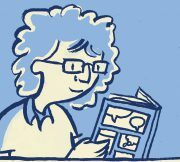 This entry was posted in Bechdel Test, Elementary grade fiction, Graphic novels, Reviews, What are you reading? by booktoss. Bookmark the permalink. FirstSecond is such an incredible publisher, they’re really just releasing awesome graphic novel after awesome graphic novel, I always look forward to each new release. They are hit and miss in my experience. But, I’m looking at the books from a different lens – representation is my focus. I’ll say this – they are consistently beautiful books ! 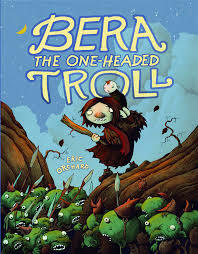 While I am not a huge graphic novel fan, I now can’t wait to read Bera the One-Headed Troll. Reading your review I was reminded of Bog by Karen Krossing, a book I read last winter. Bog is a cave troll who ends up having to return a child to her abusive father. Wow – I’m checking Bog out!